engaged with the task of providing quality education to the children who are born in poor socio-economic circumstances. APS provides low cost private education to such communities. They serve almost 50% of urban students and 21% in rural areas in India. APS community is enthusiastic about implementing technology to enhance educational output because it’s the best way to provide quality education at an affordable cost. The APS market is particularly strong in India with an estimated 300,000-400,000 affordable private schools which teach from Grade1 to Grade10. And a great point to notice is that there is a relatively high penetration of technology in APS. More than 60% have computer labs and 58% have smart classes. In this article, we provide you with information about how the APS community uses technology to become more affordable. APS use educational technology in three different ways. 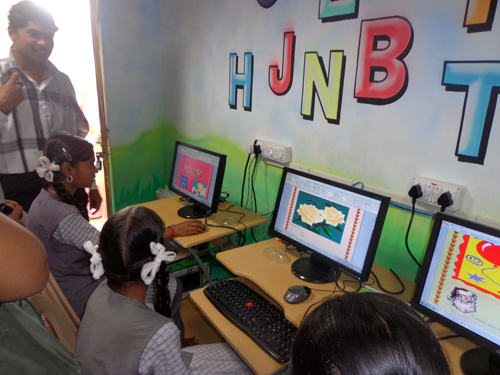 They are, through Computer labs, Smart classes & Technology for administration related work. Let’s learn about them briefly. Computer knowledge is an essential requirement for students nowadays. APS community has recognized the importance of computer education for students. They buy second hand computer systems which have some other default applications besides MS Office. Very dedicated teachers are employed in managing these computer labs. They divide the classes into two parts: theoretical and practical lessons. Academic syllabus is designed by the respective board to which the school is affiliated. Usually in India, the main educational boards are Central Board of Secondary Education (CBSE), Indian School Certificate Examination (ICSE), International Baccalaureate (IB) and the State Board. 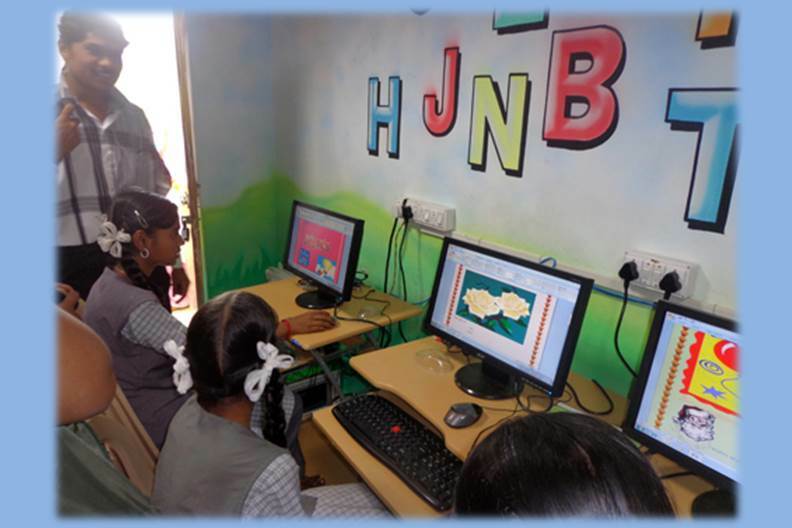 Computer Coaching is an additional course for students along with academic syllabus. APS community hires dedicated teachers who work on a low pay scale. The teachers in India’s APS are generally having less work experience with high interest for teaching in such communities and receive a lower salary compared to the teachers who work in government schools, have higher teacher attendance rates and better student-teacher ratios. These teachers with the help of technology provide students with quality education. Smart classes make use of smart boards which are the combination of white boards with the power of computers. In olden days, teachers used to teach students with PowerPoint presentations, images and videos which were projected onto a surface typically a projector screen or a white wall. Introducing smart boards into APS schools has made student learning even more effective. Low cost computer devices like tablets have been introduced to deliver affordable technology enabled classes. Many edtech startups are helping these APS community to find the best resources, apps, tools, etc. for their classrooms. Administrative tasks include admissions, hiring, implementation of new technologies, tracking students’ attendance and grades, etc. APS community uses low cost solutions to perform administrative tasks. Some online tools like Schoolfy provide APS with free tools to send documents, real time notifications, fee reminders, exam dates, holidays and much more. Such online sites help the administration and teachers by reducing the cost, time and precious effort. New entrepreneurs, NGOs and many Foundations related to education are increasingly investing in APS initiatives. While comparing government schools and APS, people prefer APS over government schools. APS provides a unique opportunity to observe edtech interventions in privately run low-income schools, where such innovations are more likely to occur. We’d like to know your views on APS and their edtech implementations. Please share with us in the comment box. Why Should Young Students be Encouraged to Learn Programming?